Computer Ambulance has been in the computer and laptop repair business in Dublin since 2003. We pride ourselves on our technical expertise and customer service. So, whether you need laptop or computer repair or I.T. solutions for your small business – we can help. We have threes bases in Dublin –Glasnevin, Booterstown and a computer repair drop-off point in Dublin City Centre. We operate our computer repair service throughout most of North, South and West Dublin. How long have they been in the computer repair or laptop repair business for? Is there a guarantee offered with their laptop repair or computer repair? Are the repairs carried out by experienced and competent technicians? After your laptop or computer has been repaired, and if there are any further issues, what is their after-service care like? Sometimes, a computer or laptop repair will not be economically viable to carry out. Bear this in mind when dealing with any computer repair company. I don’t need my laptop or computer repaired, I just need some printers and email accounts se-tup? Is that something you do? 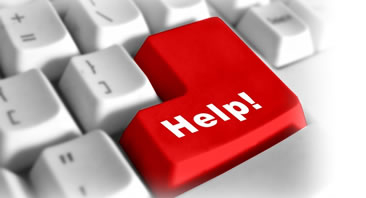 Yes, we offer a full computer support service for software and hardware issues. We also offer networking and server solutions. I’ve been looking at a few computer repair companies in Dublin. How do I know if Computer Ambulance are any good? We have been in business for over 10 years. We have been recommended by the Sunday Business Post and the Dublin Good Service Guide. Do you offer same-day computer repair? Yes, we operate a priority computer repair service (within 12 hours) and an emergency computer repair service for the Dublin area (within 3 hours). I live outside the Dublin area. Do you offer remote computer support? Yes. We can repair some computer or laptop problems remotely. Please contact us with your problem. We will be happy to help you. What makes of computer or laptop do you repair or service? We repair most makes of laptop and computer including Apple Mac, Toshiba, Dell, Asus, HP, Lenovo, Sony Vaio and Samsung.